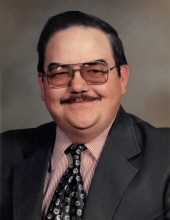 Terry Lynn McCoy, son of the late Henry and Mildred (Van De Venter) McCoy, was born February 10, 1953, in Mountain Grove, Missouri, and departed this life November 19, 2018, at Mercy Hospital in Springfield, Missouri. He was 65 years, 9 months, and 9 days of age. Terry grew up in the Lynchburg community and graduated from Plato High School, class of 1971. Following high school, he began working at Fort Leonard Wood post-exchange. While working there he held several different positions. After 42 years of service, he retired in 2015. Terry was united in marriage to Sharon Franklin on June 20, 1992, in Competition, Missouri. Two sons were born to this union. They raised their family in the Lynchburg community. Terry was a very proud father and loved to speak about his sons accomplishments in life. Terry was saved and baptized at a young age and was a life-long member of the Embree Community Church. He enjoyed singing and listening to gospel music. He also liked playing the harmonica and mandolin. Terry was also an avid St. Louis Cardinals and Nascar fan. Terry was a friendly soul who never met a stranger. He greatly enjoyed visiting with friends and family. He will be dearly missed by all who knew and loved him. Besides his parents, Terry was preceded in death by an infant sister, Diana Marie McCoy and by a brother, Dennis McCoy. Survivors include his loving wife of 26 years, Sharon McCoy of the home, two sons, Austin McCoy and Nathan McCoy of the home, and many cousins and friends who will miss him. Memorial contributions may be made to Gideon’s International or Dutch Chapel Cemetery in care of Craig-Hurtt Funeral Home of Mountain Grove, Missouri. To send flowers or a remembrance gift to the family of Terry McCoy, please visit our Tribute Store. "Email Address" would like to share the life celebration of Terry McCoy. Click on the "link" to go to share a favorite memory or leave a condolence message for the family.